Harley-Davidson has issued two separate recalls, affecting more than 50,000 Street and touring models. The larger of the two recalls affects 45,901 touring models from the 2014 and 2015 line ups. According to the National Highway Traffic Safety Administration, the bikes may have an issue with the clutch master cylinder and "may lose the ability to generate enough lift to disengage the clutch, especially if the motorcycle has been parked for an extended period of time." Harley-Davidson has received 313 warranty claims and 31 customer complaints, and is aware of 27 incidents or crashes related to the issue. According to the NHTSA, "the customer may notice a large amount of 'free play' in the clutch lever when they first squeeze the clutch after being parked for an extended period of time." Owners of the affected models should contact their dealership . Meanwhile, a recall covering 8,904 Street 750 and Street 500 models is far less serious. According to the NHTSA, the recall is simply the result of an oversight at Harley-Davidson's Kansas City plant. The models are missing a rear deflector, which means they are not in compliance with US traffic safety law. Again, owners of the affected models should contact their dealership. 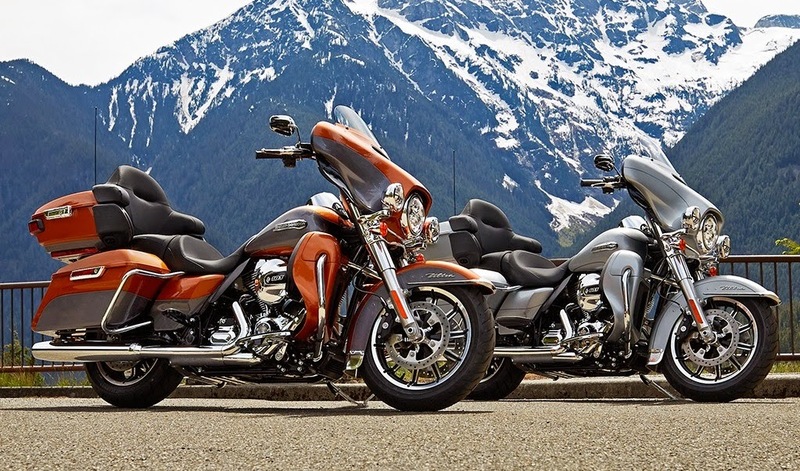 Harley-Davidson's touring line up has been the subject of a number of recalls since the launch of Project Rushmore a few years ago. In December 2013, almost 20,000 touring bikes were recalled. Less than a year later, in late 2014, Harley-Davidson was forced to issue recall notices on more than 126,000 bikes.